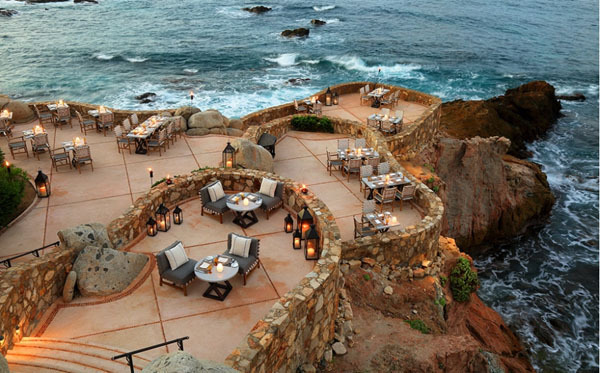 Escape reality and retreat to your very own private beach resort in the sensational Cabo San Lucas. 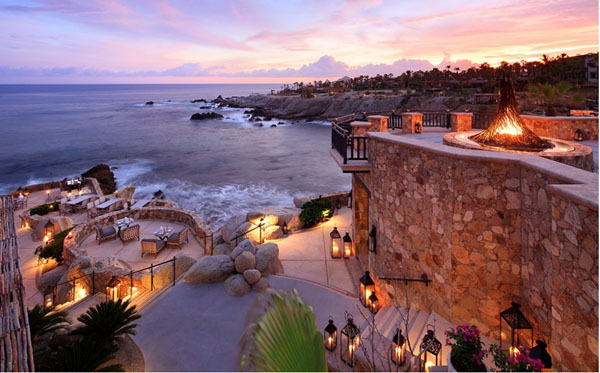 Esperanza, an Auberge Resort, is the only private beach resort, boasting natural settings and incomparable luxury. The resort comes complete with everything you could want in an island get away, without the island, but plenty of serene tropical landscapes. 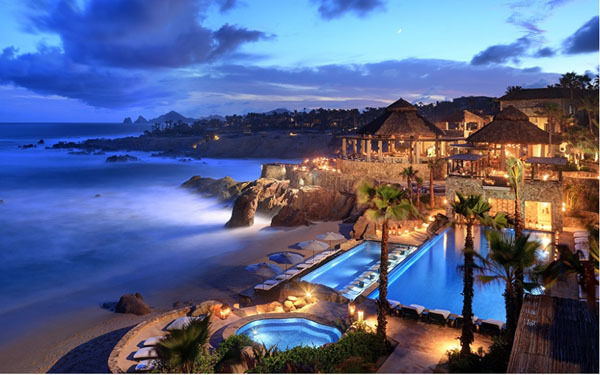 The resort includes luxurious accommodations from casitas, to villas and suites and residences. 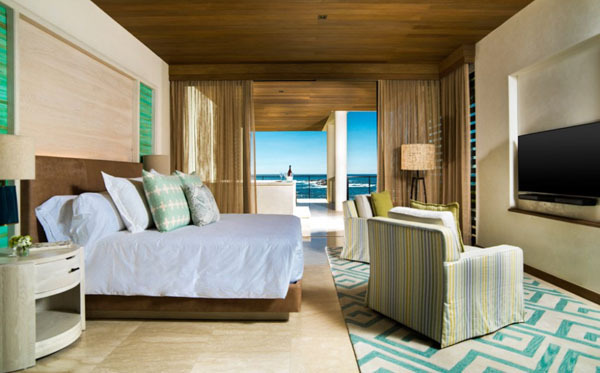 All rooms are complete with ocean views, and unparalleled décor. Pure white tones give the rooms a sophisticated and clean look, while the subtle light brown tones tie in with the seaside sanctuary. Warm shades of gray and faded blue greet guests while the rustic woven lines and metallic tile finishes add character and texture to draw in elements from the outdoors. The soft netting drape adds to the ethereal beauty and tranquillity of a luxury beachside resort. Upon arrival, a charming, yet helpful soul Felipe Gutierrez, will be there to greet you and ensure your stay is a breeze with the 24/7 concierge. An array of activities ranging from snorkelling, sailing and sport fishing to incredible championship golf courses and thrill seeking sand dune rides are just a glimpse of what you could be doing this summer. For those who want to bask in the luxury, but don’t want to stray too far from routine can partake in cooking classes, fitness classes and shopping. Don’t worry there are activities for the little kids, not just the big ones. Help your little ones spark creativity and curiosity with the children program, which will inspire imagination and persuade experimentation. Kids will be entertained, as they dabble in craft day and paddleboard lessons. Help your child become an explorer as they set out on an adventure, seeking seashells and learning about the different sea creatures living among the reef. At the end of the day, your little one can relax with yoga lessons and to start the night, camping is a great way to come together and enjoy some precious family time. 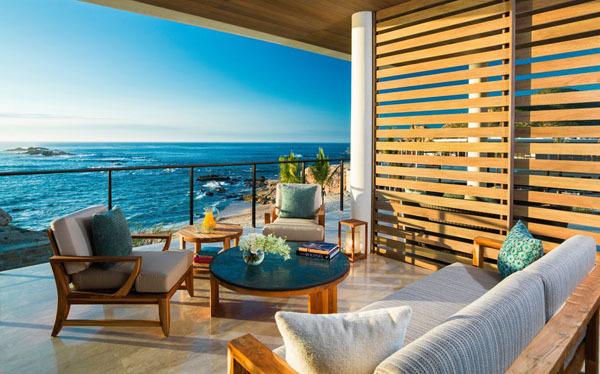 There must be something in the water at Los Cabos, as the Auberge Resort Collections continues to provide luxury beach escapes with the Chileno Bay Resort and Residences. Guests can expect services and amenities to in keep with the ultra-luxury standards Auberge Resorts are known for, like its sister property Esperanza. This family-friendly resort hosts 60 guestrooms, including 32 villas all showered in modern décor. Outdoor showers, large terraces and deep soaking tubs are among the checklist for the full Cabo experience. The resort is built around a long pool positioned on three levels, with a family and children’s pool at the top and the adult pool at the bottom, which spills into the charming sea of Cortez. Rooms are experiential in design and contemporary in aesthetic, which compliments the natural desert and seaside surroundings through indoor and outdoor spaces. For a relaxing element to your getaway, the luxury spa designed by Tracy Lee, will meet all your relaxing and rejuvenating needs. An outdoor reflexology pool with massage stones underfoot, is perfect to distress and relieve the tension. Outdoor purification gardens, salt sauna and a cold plunge are among the many natural services offered at the spa, which is guaranteed to unwind you. For those who need a stronger hand to unwind, an ashiatsu bar suspended above a massage table is the perfect deep-tissue massage you need. 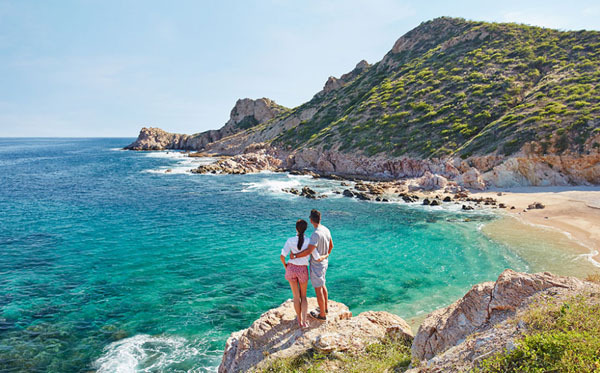 Find what moves you with an array of activities, which will give you the ultimate Cabo experience. Paddleboard in pristine waters, admire the big creature of the sea with a whale watching tour or explore the beach via horseback. This is just the tip of the resort, there are endless possibilities to learn, grow, relax and unwind at this exquisite establishment. After a long day of fun filled activities, why not indulge in the sounds and flavors of Los Cabos as the Comal restaurant offers excellence in dining and Latin American inspired cuisine. The expansive oceanfront bar at the center of Comal serves craft cocktails alongside a live-action Raw Bar for guests to revel in as they sit back and watch a splendid Chileno Bay sunset.